Keke Palmer openly discusses the perils of childhood fame, America's current political landscape, and her future career aspirations. Plus, the famed actress addresses a recent controversial incident with Trey Songz, and what's next for her hit show 'Scream Queens'. 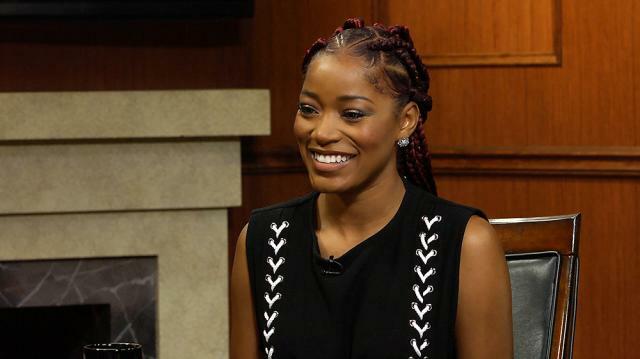 Larry King is joined by actress Keke Palmer, who at just 23 years old already has just released her first book ‘I Don’t Belong to You.’ The young entertainer speaks to her career across two different industries, music and film, and why she decided to try her hand at writing. Then, Larry King and Keke Palmer discuss a recent incident with the singer Trey Songz, who featured Palmer in a music video without her permission. She gives Larry a timeline of events prior to her appearance in the video, and why she didn’t want to participate. She addresses Songz’ use of “sexual intimidation” to coerce her participation, and why the event has been such a wake up call for her. Finally, Keke Palmer speaks to Larry King about some of her most recent screen work as Zayday Williams on the FOX series ‘Scream Queens.’ She thinks very highly of her current collaborators, and muses on some of the talents that she hopes to work with in the future.